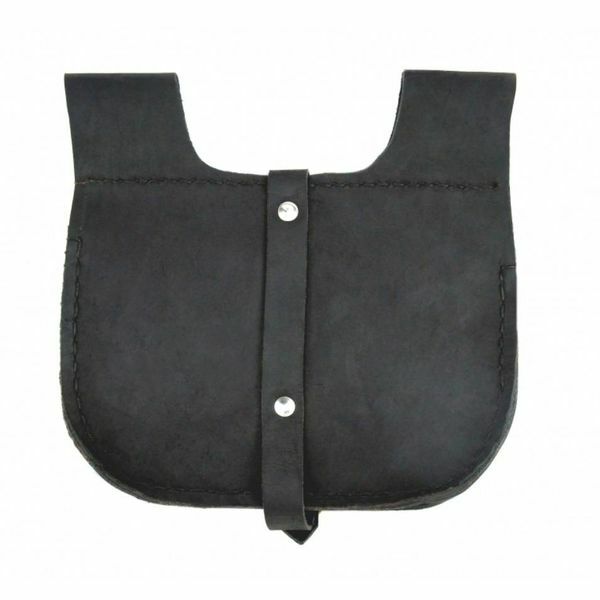 This model of kidney pouch is typical for the 15th century. 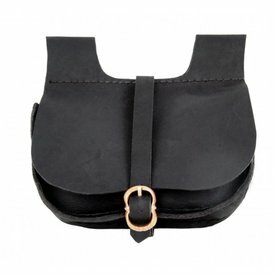 It is made of genuine nubuck-leather and has a brass buckle for closing. 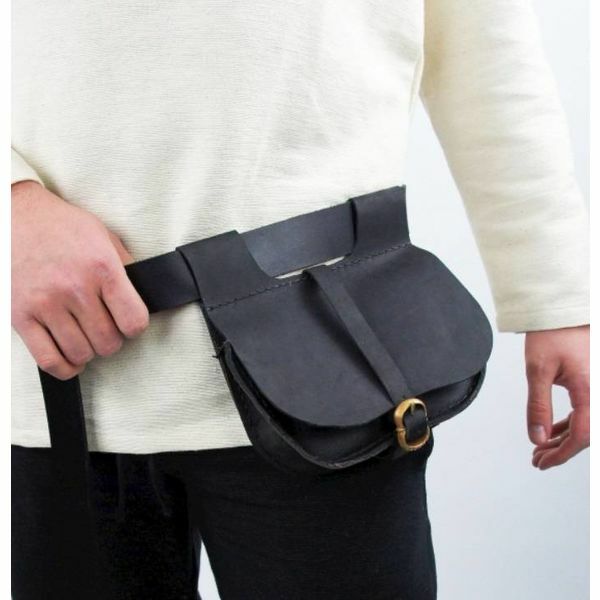 At the top it has two belt loops which are suitable for belts up to 4 cm wide.